Panchagavya in Hindu religion is a combination of five products – milk, curd, ghee, cow urine and cow dung. Panch means five and Gavya means product obtained from cow. 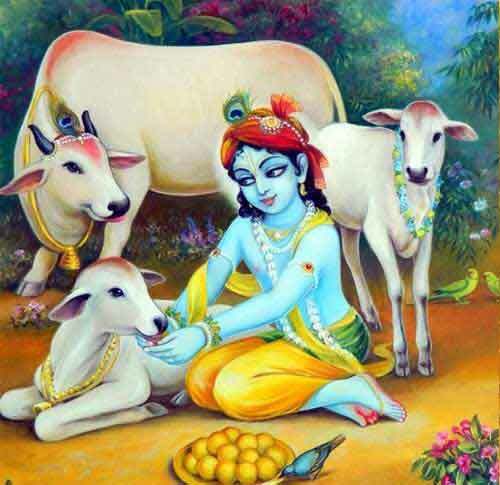 Panchagavya is the five elements obtained from cow and it is considered sacred and has medicinal properties. Panchagavya is used to break certain Hindu fasting by certain communities. Panchagavya is also a used by Ayurveda practitioners to cure various diseases. A small amount Panchagavya is consumed on certain fasting days. This is usually to end the fast like Chandrayana Vrat. Today, Panchagavya is widely used as a growth stimulant and biopesticide in agriculture. “One lady with psoriasis all over the body was under allopathic treatment for over one and a half years. She happened to prepare panchagavya for field use and stir the contents with her forearm. After 15 days, the psoriasis in her forearm got fully cured. Following her own intuition, she smeared panchagavya all over the body and to everyone’s surprise the psoriasis disappeared in 21 days,” the Tamil Nadu Agricultural University (TNAU) website claims.